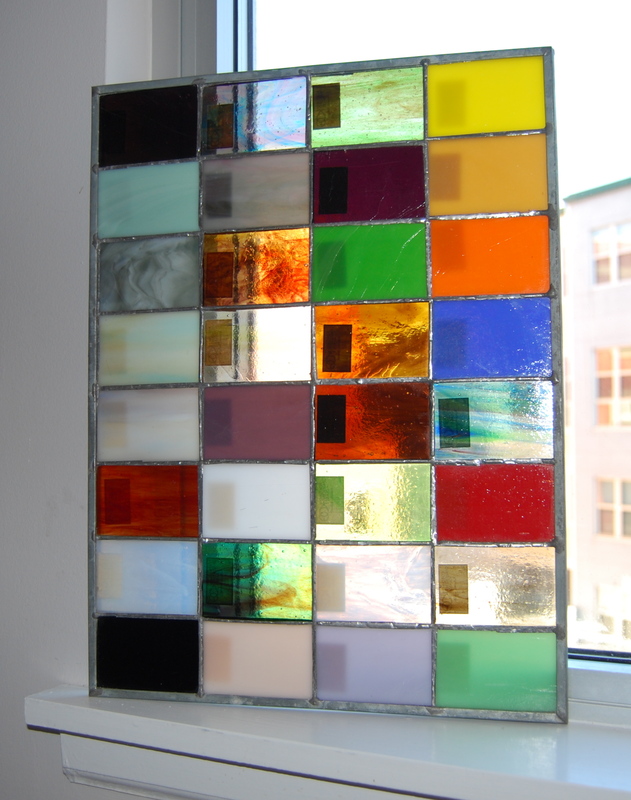 Find of the Week: Stained Glass! This week’s “Find of the Week” is the perfect example of old-is-new-again. And best of all, it’s super colorful, bright, and full of character. 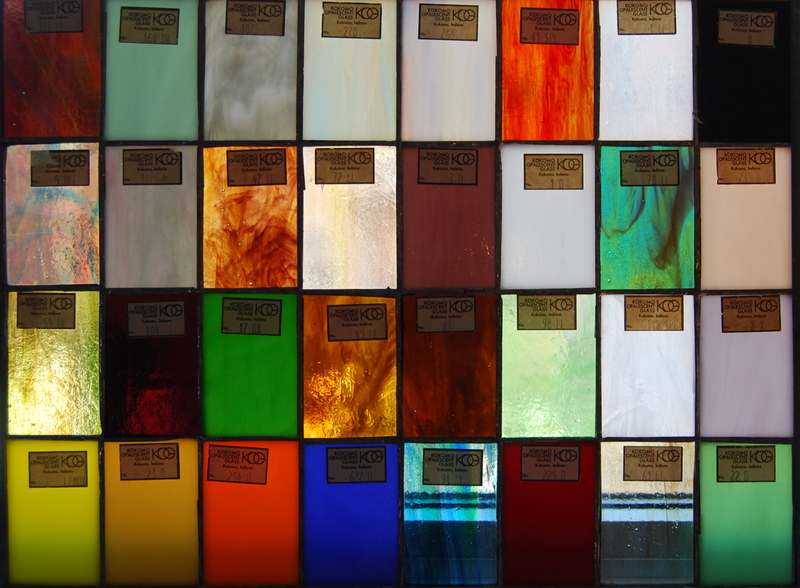 A few years ago, my mother and I were out antiquing somewhere in Virginia (I can’t recall which store) and found this gem: a stained glass panel that seems to have been used as a color sample board. It’s just a little bit bigger than a piece of paper but it packs a huge punch. I can’t tell when it dates from, but I’m guessing the 60s or 70s? 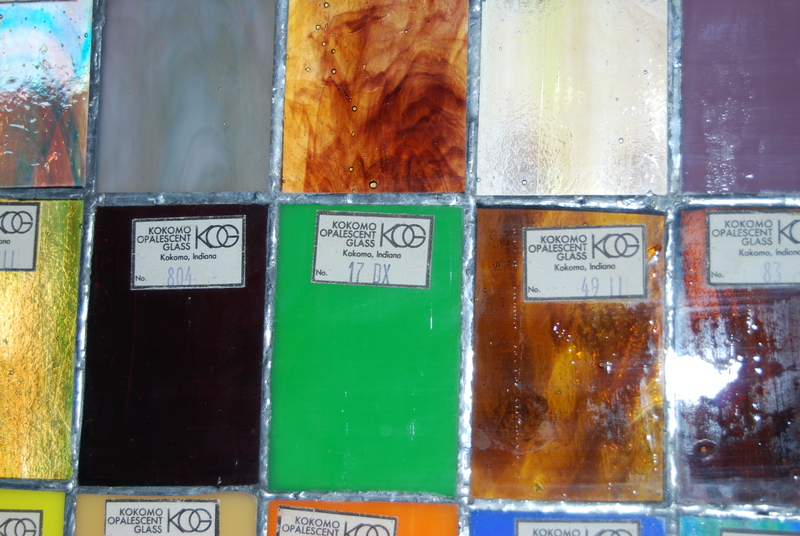 Turns out it’s from a 122 year old company, Kokomo Opalescent Glass, in Kokomo, Indiana, which is neat because my husband is from an Indiana town not far from Kokomo! I completely missed this until I came across this piece a few weeks ago at my mother’s house. In fact, this past Christmas my husband and son and I were passing through Kokomo, and we stopped at a Target for fruit snacks and to stretch our legs. How funny! Here are a few more shots of the glass close up. Isn’t it gorgeous? Right now I have this panel leaning against the wall, sitting on top of a high bookcase. Next month…who knows where it’ll be? My guess is somewhere at my house or my mom’s – we’re passing it back and forth because neither of us wants to give it up! Do you have anything unique like this that just brightens your day to look at? If so, what is it? Categories Accessories, Art, Find of the Week!